Welcome to the 6th pub meeting of the PhD student network in Göteborg! Eurodoc (The European Council of Doctoral Candidates and Junior Researchers) is asking for your help in promoting better working conditions for doctoral candidates and junior researchers. Answering this questionnaire can be a step on the way! Nominations for Supervisor of the Year! 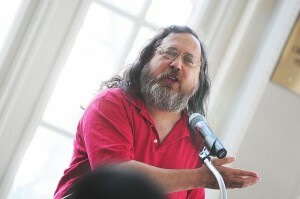 Richard rms Stallman at Runan!